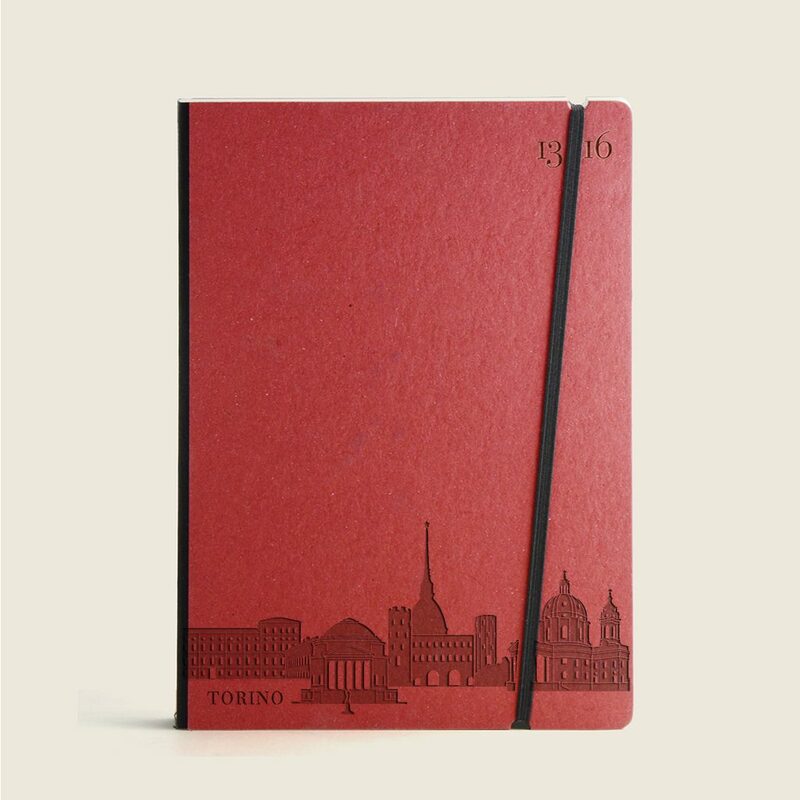 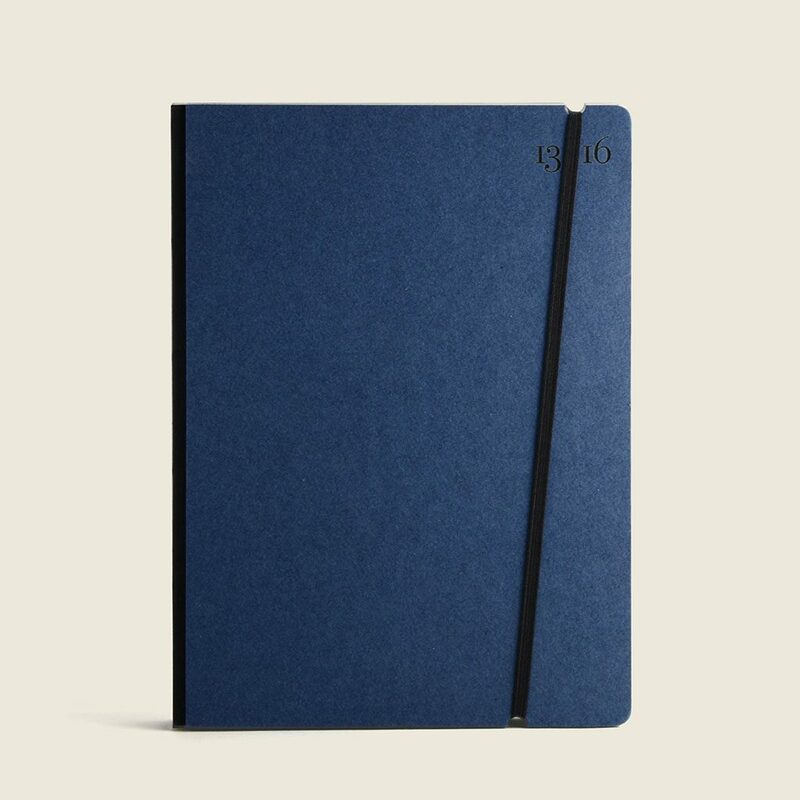 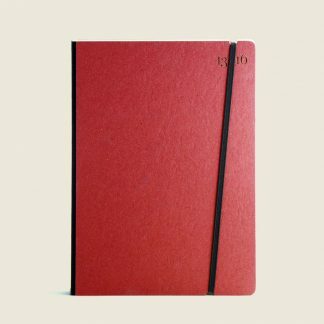 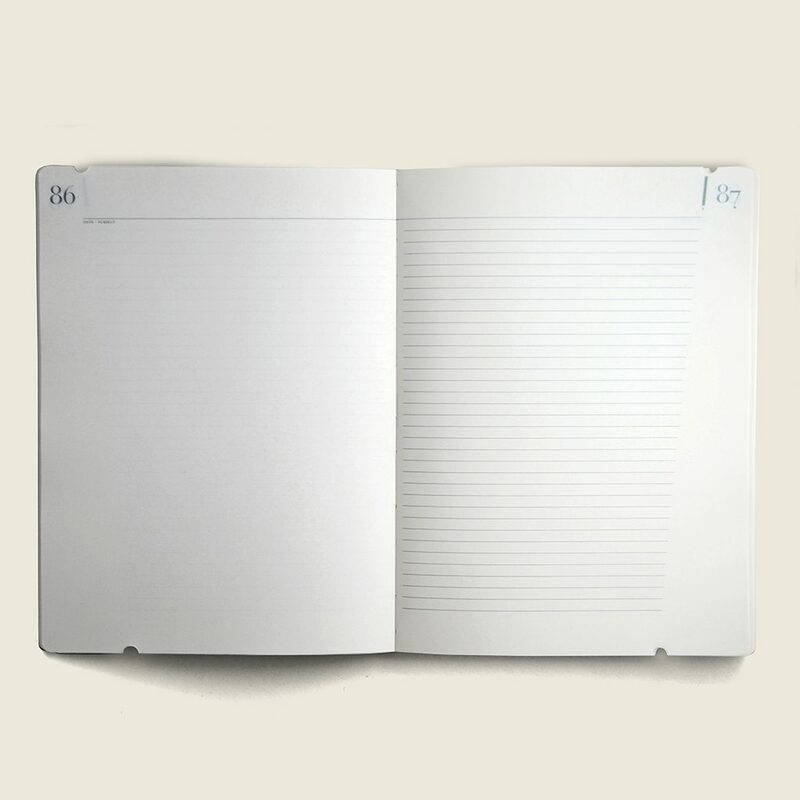 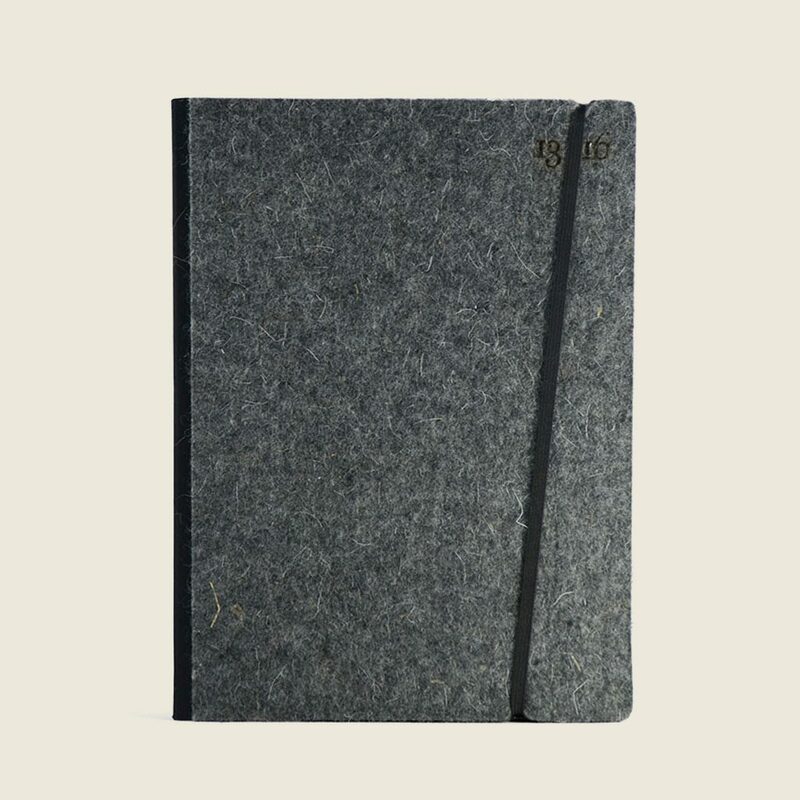 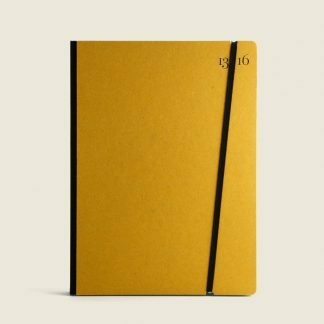 Notebook with navy blue cover. 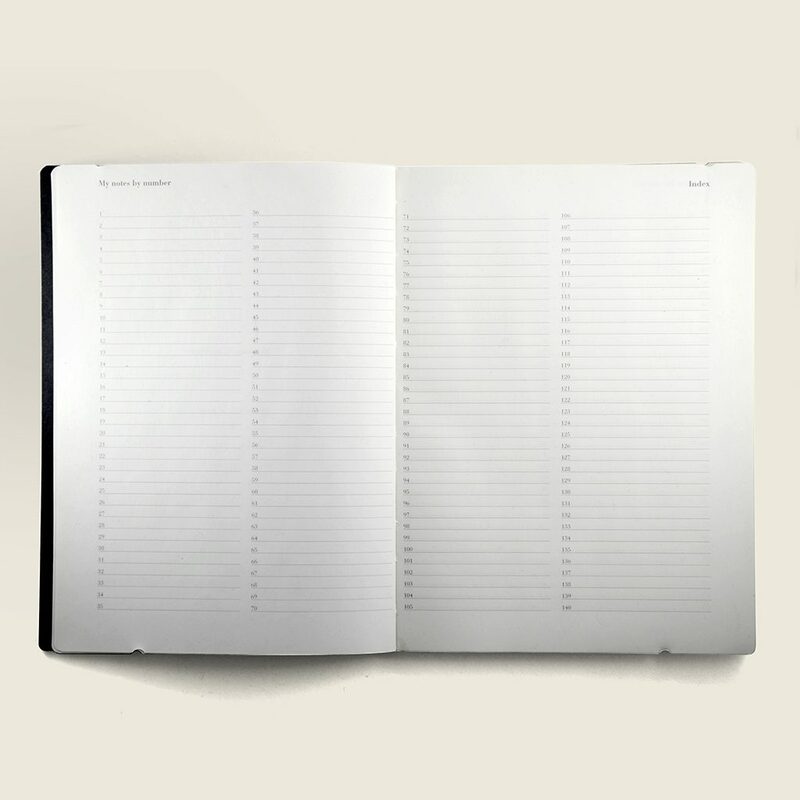 199 numbered pages with index. 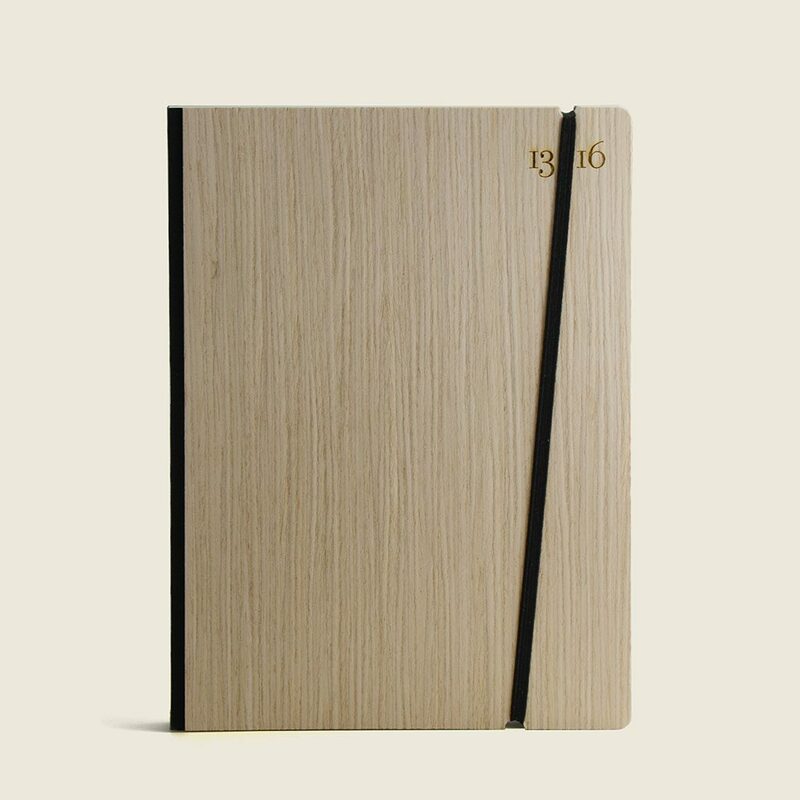 160x217mm.